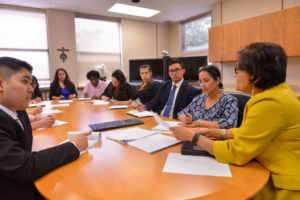 A $1 million gift from an alumnus from Webb County who wishes to remain anonymous will establish an endowed scholarship in Accounting at St. Mary’s University in San Antonio. The gift will provide scholarship awards to undergraduate Accounting students in the Greehey School of Business who are preparing to enter this challenging profession anticipating fast growth and excellent opportunities for graduates. 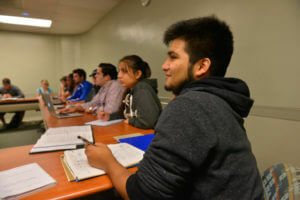 Funding will support scholarships for those who demonstrate financial need and meet academic qualifications, with preference given to students from Webb, Zapata and Jim Hogg counties. This contribution marks another step toward fulfilling the $130 million fundraising goal of The Defining Moment Comprehensive Campaign, which the University publicly launched in November 2017. As the largest campaign in the Catholic and Marianist University’s history, donors have helped St. Mary’s raise more than 80 percent of its goal needed to invest in future generations of students. The St. Mary’s Bachelor of Business Administration (B.B.A.) in Accounting equips students with the knowledge and skills needed for a wide variety of career opportunities including forensic accountants or fraud examiners, financial accountants, auditors, information system auditors, management or corporate accountants, and tax accountants. The B.B.A. in Accounting also fulfills the vast majority of the credits required to take the Certified Public Accounting (CPA) examination and satisfies all exam requirements for business-related courses. The Texas State Board of Public Accountancy has approved the program’s ethics, research and communications courses.